The one thing I like about new bands is that they know they have to stand out in a crowd. So it's what they do to encompass that into their release that defines them. One and all. 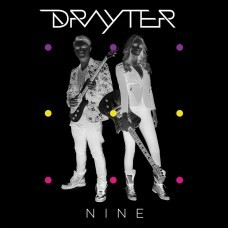 Here on Nine, Drayter bring us an album that consists of, wait for it, eight (8) brand new studio tracks - and yet they named their album, yep, Nine! I love that, and yes, it had me hooked immediately, as now I wanted to know the meaning behind it.